Rebellious Brides: Why April Fools Day? Tin: We thought it would be ok to do it on April 1st, since April fools' is not actually taken seriously here in the Philippines. :) No reason for the date, we just thought it would be fun. Plus, we know that we won't have a hard time with our suppliers cause we hope that our wedding would only be their event that day. Haha! RB: What was the reaction of your family/friends when they saw the date? RB: What's your message for other brides who want to get married on a rebellious date? Congratulations Tin and Miguel! While grooms will probably don't mind, we know that most brides would be more sensitive and would squirm at the thought of having such a rebellious date. 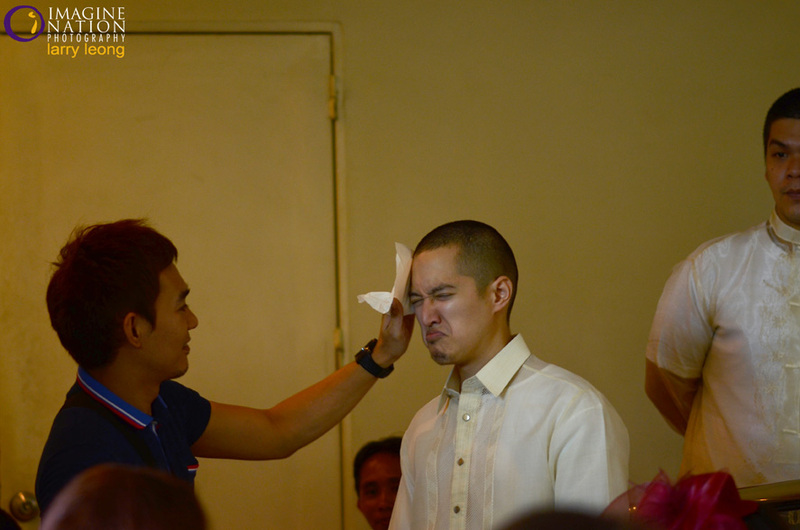 So clap clap clap for being a Rebellious Bride, Tin! Love the reception photo! Congratulations Tin and Miguel!